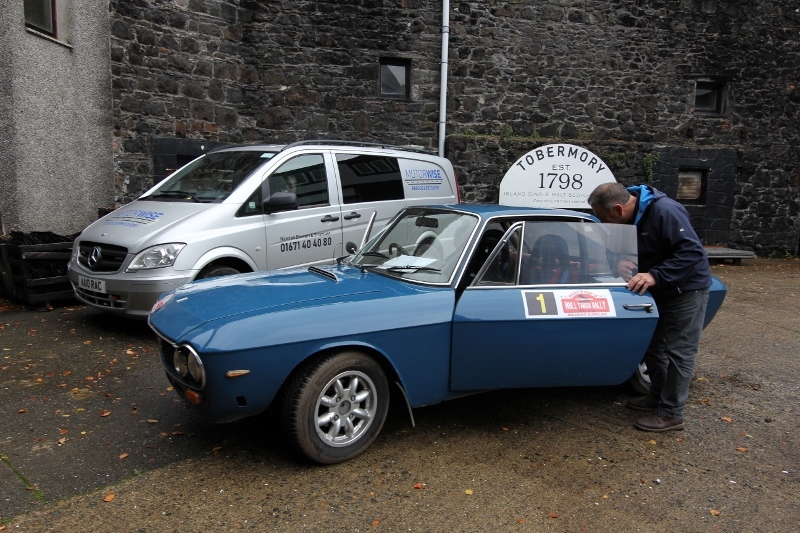 At 10.00 am tomorrow morning over 60 cars and crews will start from Tobermory on the 2018 Beatson’s Building Supplies Mull Targa Rally where the emphasis will be on precision, accuracy, navigation, concentration, mental arithmetic and accurate time-keeping – a rather more genteel world away from the flat out blast of rally cars on closed public tarmac roads. Ahead lies 14 tests on private ground to test driver’s skill and four Regularity sections where the navigator assumes command and average speeds have to be meticulously controlled. No roll-cage and crash helmets, just road cars and bunnets, or baseball hats if you have little regard for self esteem! 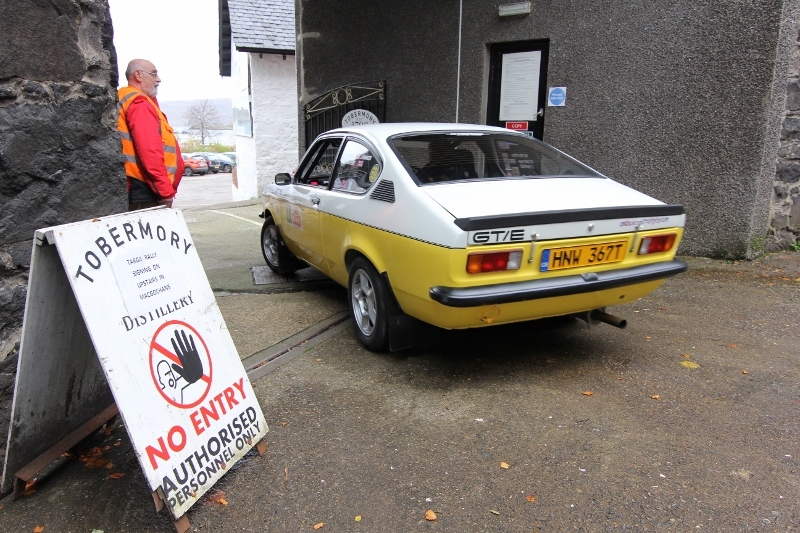 Earlier today, the cars were Scrutineered for the usual safety checks, and this being Mull, the Scrutineering session took place inside the Tobermory Scotch Whisky Distillery, the only rally in the world to use such a mystical facility for such purposes. It has to be said that some folk treat Targa Rallying a bit more seriously than others, particularly the locals. For instance Eddie O’Donnell will be competing in a 1 litre, 3 cylinder Peugeot 107, much to co-driving daughter Amanda’s dismay. This will do her ‘street cred’ no good at all. Gavin Gray has entered a Citroen ZX Dakar – the only thing ‘Dakar’ about this is the dust streaked bodywork and the manual in French, while Daniel Sedgewick has entered a Peugeot Garlic Van – whatever that is. We’ll find out tomorrow. Meanwhile Jim McDowall has acquired an ‘ex-works’ Ford Ka convertible. The description derives from having been purchased from a retired person! Honest, and this used to be such a sensible and serious sport. 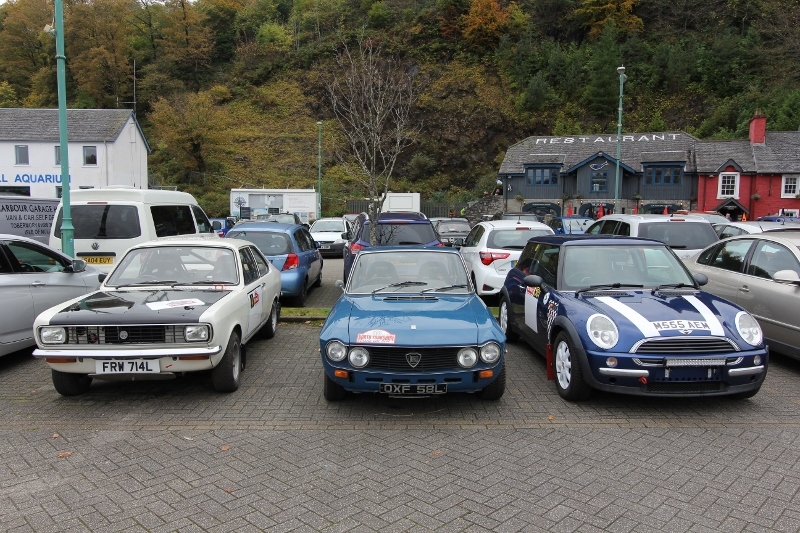 It also has a bit of a reputation for skulduggery but the Saltire Rally Club organisers are a cute (not looks you understand, but mentally aware) bunch. The Asst CofC was out checking the route earlier today and came across one of the tests which had been partially set out. There were no Code Boards in evidence although he did spot one tucked behind an arrow, and when he asked the test-designer why, was informed that it was deliberately placed there should some would-be competitor ‘innocently’ come across the test whilst out touristing the island. He also added that this Code Board would be removed before the start tomorrow and the proper ones displayed. Should some competitor later hand in a Time Card with a certain Code letter noted, he or she will be found out. Sneaky, eh? Oh, and by the way, one navigator will be competing despite having to use crutches outside the car, just don’t expect her to jump out to thrust a Time Card at any Marshal. 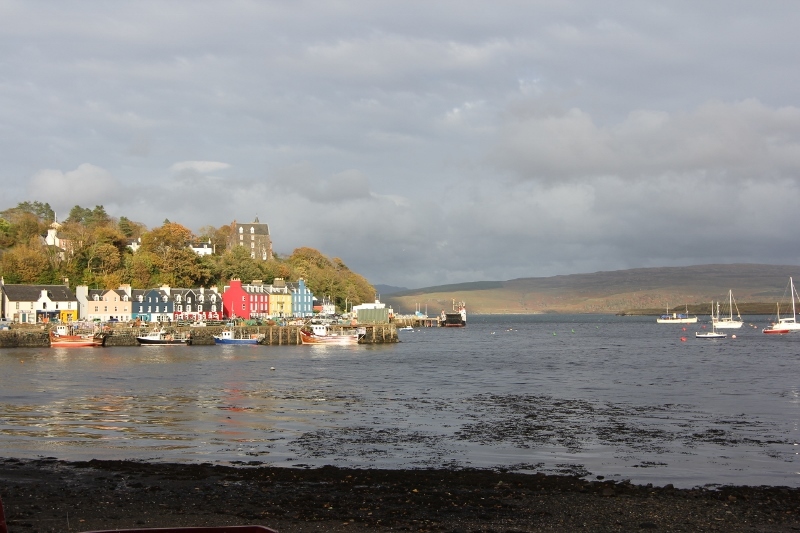 Shona Hale arrived on the island last Saturday and whilst out walking the dogs on Sunday, she and Drew chanced upon a hostelry in Dervaig whereby they were persuaded to stop and rest and have a refreshment, or two. On the return journey, Shona stepped in what she thought was a shallow puddle, but it was a deep pot-hole and she turned her ankle. She thought it was just a sprain but at Salen Hospital on Monday the X-ray showed it had been fractured. She’ll be in stookie for 2 months. She’s still doing the Targa but not the Time Trial! Drink can be a wonderful and stimulating companion, but a terrible affliction and master, eh?